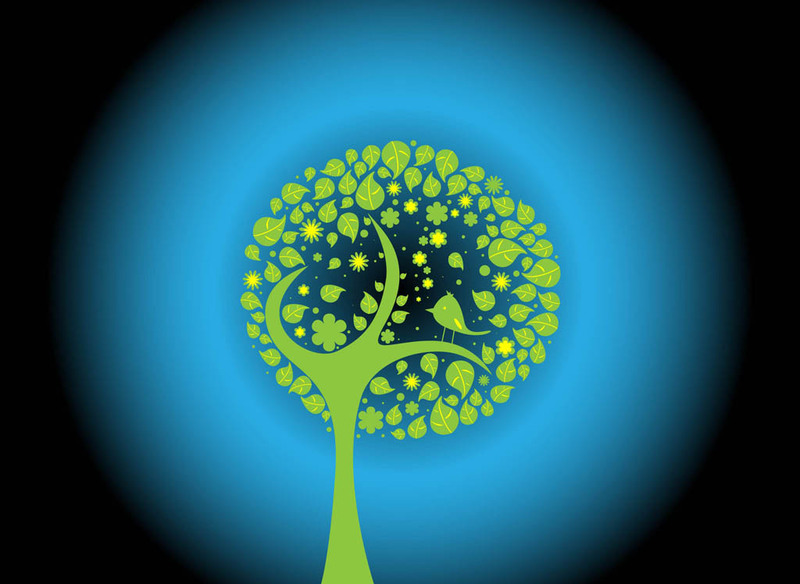 Vector graphics of a tree with a small bird in it. Spring image of a silhouette tree with curved leaves and many blossoms. Cute cartoon bird sitting on a branch. Free vector image for spring, summer, nature, animals, plants, trees and ecology designs. Tree image to design posters and clothing prints. Tags: Animal, Bird, Blossoms, Forest, Grove, Leaves, Nature, Park, Plant, Spring.